There are promotional stunts and then there are Promotional Stunts (in capital letters and boldface type). 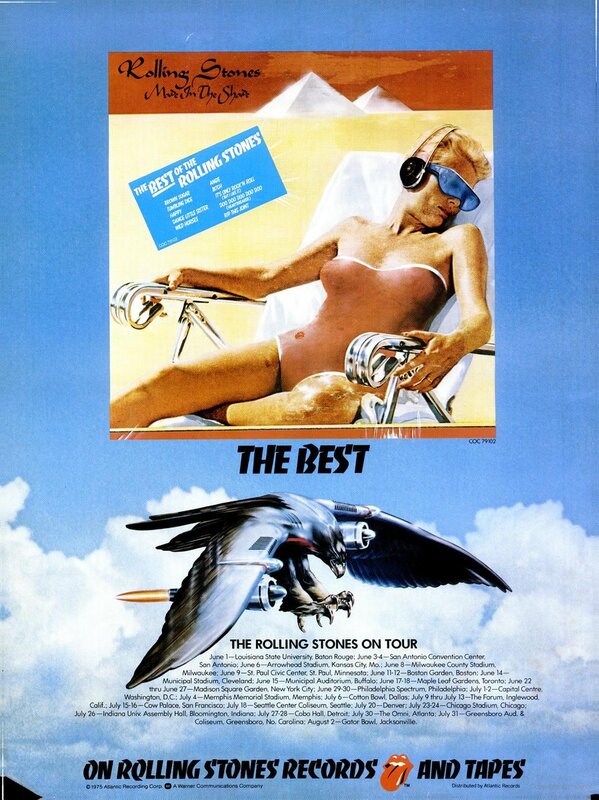 To plug their upcoming American tour, the Rolling Stones pulled off a doozy on May 1, 1975. 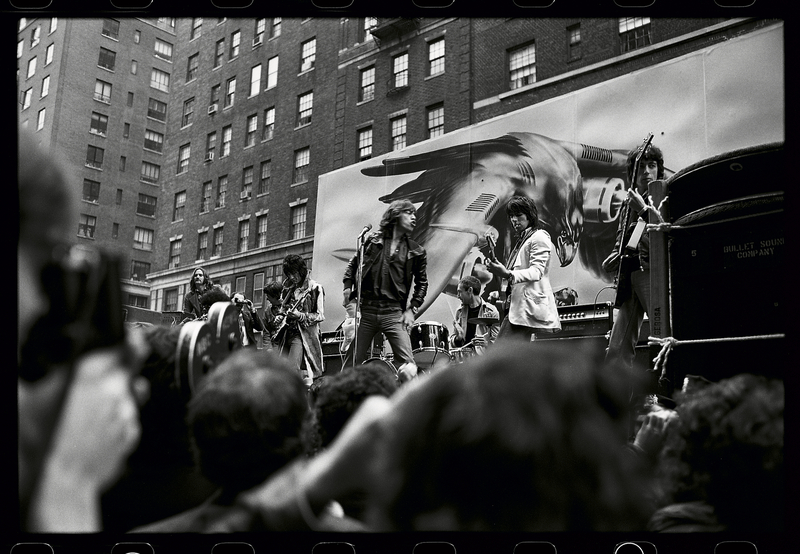 The band’s management had invited the media to New York City’s 5th Avenue Hotel at 9th Street, ostensibly to see the Stones announce their Made in the Shade tour which was set to begin June 1 in Baton Rouge, LA. The stars were in between studio albums and the Stones were releasing Made in the Shade, a compilation LP of tracks from the previous four albums. It’s Only Rock ‘n Roll had been released the previous October. They had recently completed the principal recording for what would be Black and Blue, which would come out nearly a year later in April 1976. Scott Muni, Program Director and afternoon drive host of New York’s legendary WNEW-FM (“Where Rock Lives”), was in attendance with several other members of the station’s on-air staff, as they prepared a live remote broadcast. “Ladies and gentlemen, we’re out on the street now, outside the restaurant on Fifth Avenue. 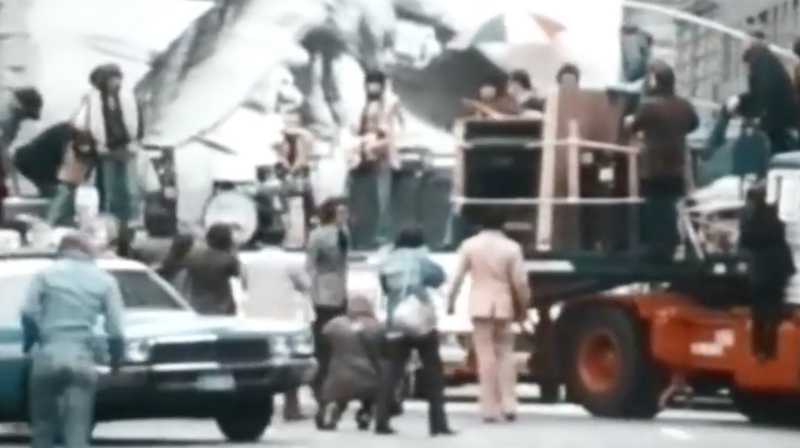 This is the surprise… the Stones are coming up right now on a flatbed truck. They’re gonna make an announcement in front of the hotel. It’s raining heavily… And shortly we’ll have an announcement from the Stones themselves and maybe, if I’m looking at the flatbed truck correctly, we’re gonna have some music too and that’s the surprise. They’re gonna play a number live, right here in the middle of Fifth Avenue. The tour and upcoming album would mark Ronnie Wood’s Stones debut. Muni: “Did you notice who the new member was? I think it’s most significant.” Fellow ‘NEW DJ Dave Herman says: “Billy Preston was sitting there.” Muni interrupts: “But Ron Wood was on guitar with Jagger so the rumors and the things we’ve been reading, some of them semi-official of Wood doing the tour are true, obviously, or he wouldn’t have been on the truck. Tickets for the Stones’ 2019 tour are available here and here.